The potential benefits of component-based development are as attractive in the domain of embedded systems as they are in other areas of the software industry. These include reductions in development times and costs, improved quality and specialization of expertise. However, these benefits are much more difficult to realize in embedded systems development than in other areas of software engineering because the problems of composing extra-functional requirements such as quality, reliability and performance are much more acute. When building new applications from existing components it is not only necessary to ensure that they behave as expected, but also that these extra-functional properties are composed correctly. 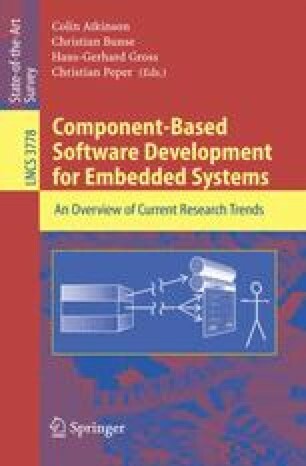 Until recently it was difficult to do this in an economically viable way, but recent trends have combined to make component-based software engineering as imperative for embedded systems development as it is in other domains.